Explore the Settlement Players’ archive of productions dating back to 1923. 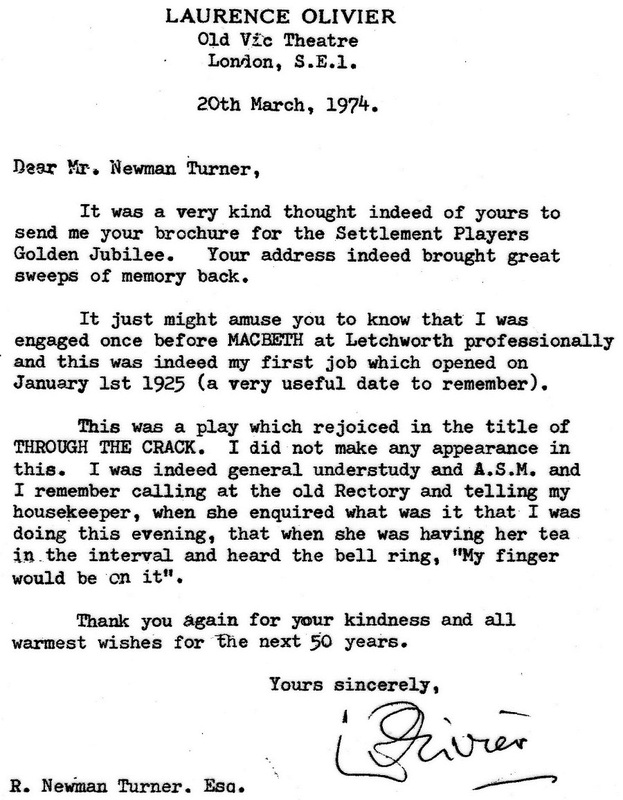 A History of the Players’, produced for Players’ Golden Jubilee in 1973, can be found here, and a famous reminiscence below. A further supplement was produced in 1982, see here. 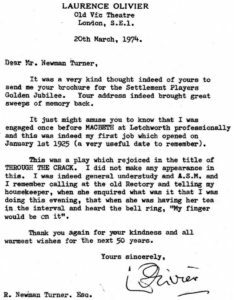 “Something original is needed to wake Letchworth up”, were the rallying words of the very first producer of a play performed by the Settlement Players. In 1923, in the midst of the first Garden City, Mr James Dudley was the warden of the newly opened adult education centre called The Settlement, which was then based at the site of the Letchworth museum in Norton Way South. Seeing how much local residents enjoyed touring drama groups’ productions, Dudley decided to start his own drama society. The Settlement Players held their debut performance on Wednesday 19th December, presenting The Little Plays of St Francis, by Laurence Houseman. The show was taken to three venues in three days, beginning at Ashwell Village Hall before moving on to the Cooperative Hall and Fairfield Hospital in Letchworth. They were “very well received” according to the producer, Mr Evan John Simpson – managing to hold off stiff competition from a rival local performance of Much Ado About Nothing! Ticket prices were two shillings and fourpence for reserved seats and one shilling and tuppence for unreserved. In 1925, The Settlement moved into the Skittles Inn in Nevells Road, Letchworth and the former bowling alley became a theatre with a temporary platform for a stage. The Players now had a home to settle into, and have been steadily improving facilities since then. Records show at least one play has been performed every year since the group began, and often more than that – as was the case during the Second World War.